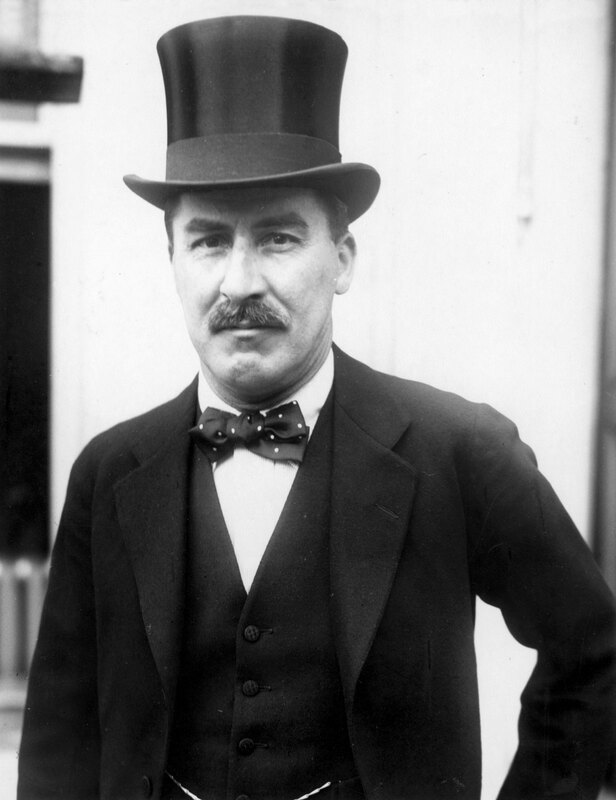 Howard Carter died seventy-five years ago on 2 March 1939. His death went largely unremarked. This is fairly extraordinary considering Carter was the man responsible for making arguably the most important archaeological discovery ever … the tomb of the boy king Tutankhamun, dating from the 14th century BC. It’s hardly the most lavish epitaph! So, why the lack of recognition? All Carter earned during his lifetime was an honorary doctorate from an American university. In his own country; nothing. Carter had a reputation as an irascible man, pig-headed, stubborn and intractable. He rubbed shoulders with the aristocracy (notably his patron and sponsor the Earl of Carnarvon) yet wasn’t one of them. Perhaps an incident early in his career in Egypt cast a long shadow. It became known as the Saqqara Affair. Carter committed career suicide, refusing to apologise to the authorities over an incident where he forcibly ejected a group of rowdy and drunk young Frenchmen from the site of the famous stepped pyramid. Carter resigned over the incident, halting a hitherto promising career, and entered what have become known as his ‘wilderness years’. He scratched a living as an artist and antiquities dealer before being recommended as an excavator to Carnarvon. The rest, as they say, is history. But Carter’s temper continued to be his Achilles heel. 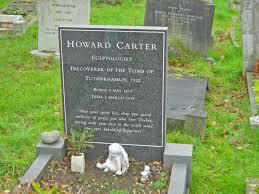 After Carnarvon’s untimely death just 5 months after the discovery of Tutankhamun’s tomb, Carter once again exploded. This time it was over the refusal of the Egyptian Authorities to allow the wives of the excavation team a private viewing of the tomb. Carter downed tools and took himself off on a lecture tour of America. But perhaps more damning were the rumours that started to circulate while he was away that Carter was misappropriating items from the tomb. A lotus flower head of the boy king was found inside a Fortnum & Mason wine case. Carter said he’d stored it there for safekeeping until it could be properly conserved. His explanation was accepted without question, but I wonder if the powers that be were really convinced …? Whatever, the recognition he might have expected as arguably the most famous excavator of all time never materialised. Carter returned to England in 1935, having taken 10 years to clear the tomb. He continued to deal in antiquities for many of the major museums of the world – perhaps considered a dodgy profession…? He died, aged 65, of lymphoma. But perhaps the action that meant he could never earn the recognition he deserved was his alleged unauthorised break-in to the tomb the night before its official opening in November 1922. It’s never been proven, but it’s now achieved the status of something of an open secret. Carter and Carnarvon, together with Carnarvon’s daughter and their friend Pecky Callender, are said to have broken into both the outer chamber and the burial chamber of the tomb. I think, if true, it’s hard to blame them. Which of us can honestly say we could have resisted the temptation after such a long search? Whatever, rumours of wrong-doing seem to have dogged Carter’s footsteps – and his memory. These provide fertile soil for a writer of fiction, such as myself. 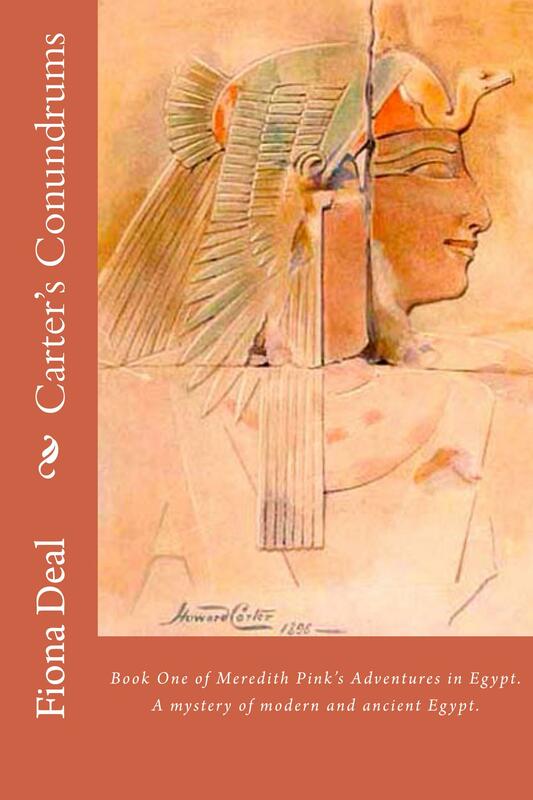 In the first book in my series following Meredith Pink’s Adventures in Egypt, my heroine finds herself caught up in a mystery that draws heavily on the conduct and character of Howard Carter. Posted on March 5, 2014 by Fiona Deal. This entry was posted in ancient Egypt, biograpy, Egypt, egyptian fiction, fiction, History, Travel, Uncategorized, writing and tagged AncientEgypt, egypt, Howard Carter, Lord Carnarvon, Tutankhamun. Bookmark the permalink. ← So who was King Farouk?